waves are coming in and the wise one stays calm and present like an egret in the breakwater. Questioner: How is one to enquire: “Who am I?” Ramana: Actions such as ‘going’ and ‘coming’ belong only to the body. And so, when one says “I went, I came”, it amounts to saying that the body is “I”. But, can the body be said to be the consciousness “I”, since the body was not before it was born, is made up of the five elements, is non-existent in the state of deep sleep, and becomes a corpse when dead? Can this body which is inert like a log of wood be said to shine as “I”? Therefore, the “I” consciousness which at first arises in respect of the body is referred to variously as self-conceit (tarbodham), egoity (ahankara), nescience (avidya), maya, impurity (mala), and individual soul (jiva) . Can we remain without enquiring into this? Is it not for our redemption through enquiry that all the scriptures declare that the destruction of “self-conceit” is released (mukti)? 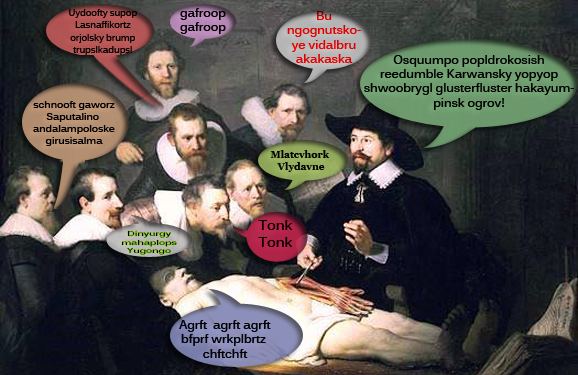 Therefore, making the corpse-body remain as a corpse, and not even uttering the word “I”, one should enquire keenly thus: “Now, what is it that rises as ‘I’”. Then, there would shine in the Heart a kind of wordless illumination of the form ‘I’. That is, there would shine of its own accord the pure consciousness which is unlimited and one, the limited and the many thoughts having disappeared. If one remains quiescent without abandoning that (experience), the egoity, the individual sense, of the form ‘I am the body’ will be totally destroyed, and at the end the final thought, viz. the ‘I’- form also will be quenched like the fire that burns camphor. The great sages and scriptures declare that this alone is release. The Indian mystic Atisha, who after many years as a great teacher in Northern India spent the second part of his life in Tibet, is credited with creating this technique. This technique can be practiced wherever we can sit, lie or stand fairly still and observe our breath. Instead of fighting or rejecting so called "negative" emotions and vibrations this meditation allows us to consciously absorb these energies and use our heart (not the physical one, but our capacity of unlimited being) as a transformer and purifier. -	With the inhale you pull in all thoughts and feelings and whatever you want to imagine. -	You imagine a window in the center of your chest through which you can pull in all these phenomena. -	Then everything is absorbed into limitless space behind the window. This space, which can be called love or light or energy, transforms the phenomena into formlessness. -	And further you can shower your love and light as continuing exhaling over your thoughts and feelings and the whole world of phenomena. You can do this easily wherever you are and whatever you do. Just start every sentence in your head with "I'm aware of ..." or "Awareness of ..." and add your first impression in a short form, be it your breathing, something that you see, or a thought. If you are noticing a thought say "I'm aware of thinking" or "I'm aware of thoughts" rather than going into the contents of the thoughts. Stand facing your partner or a good friend. Decide who will go first, one of you will speak, and the other will receive. Let your bodies be relaxed and comfortable, your arms hanging loosely by your sides, your legs loose so that your knees are not locked. Look softly into one of your partner's eyes. For the one receiving, you are going to be absolutely present. Just looking, receiving, hearing, without any reaction at all. You're going to be like the sky, open and receptive. For the one speaking, you're going to look into one of your partner's eyes and give a commentary on the present moment. You're going to report on what is seen, what is heard, what is felt in the body. You can report on thoughts, on judgments, on memories. but make sure you report them as thoughts. Speak only of what is being experienced exactly now. After five minutes, fall silent for a few seconds and then switch over. Hanbleceya actually means "crying for a vision" in the language of the Lakota Indians. It's a retreat in solitude and in nature. 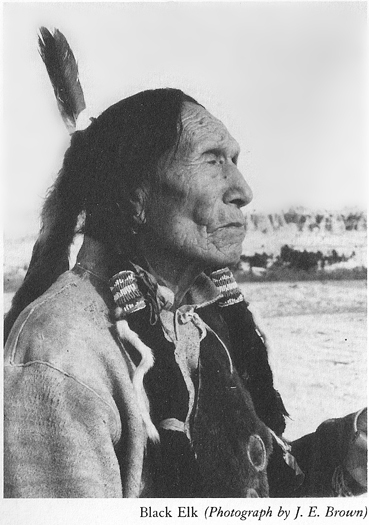 Besides the young Lakotas, who participate in a vision quest at the beginning of adulthood, a member of the tribe might choose "to cry for a vision" at any age to connect with the Great Spirit. The visionary is confined to a narrow square in the wilderness, where he or she will stay without food or drink for a couple of days. 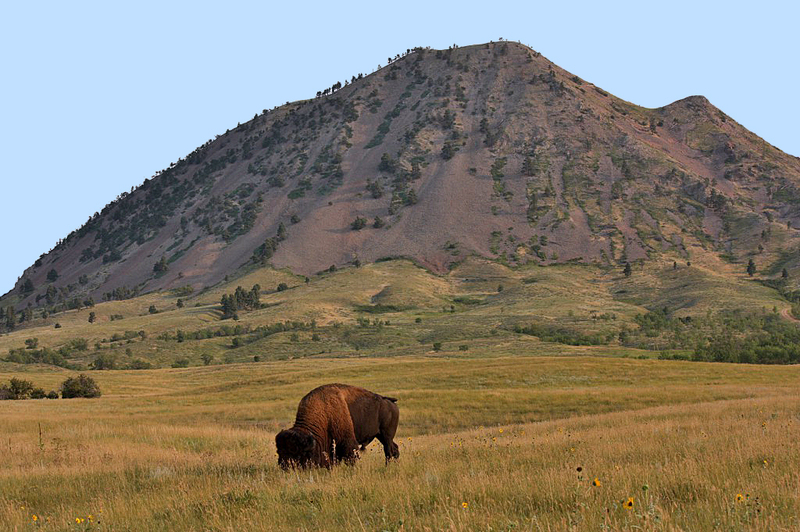 A traditional place for Lakota vision quests is Bear Butte (Mathó Pahá), a sacred mountain in South Dakota (picture 1). 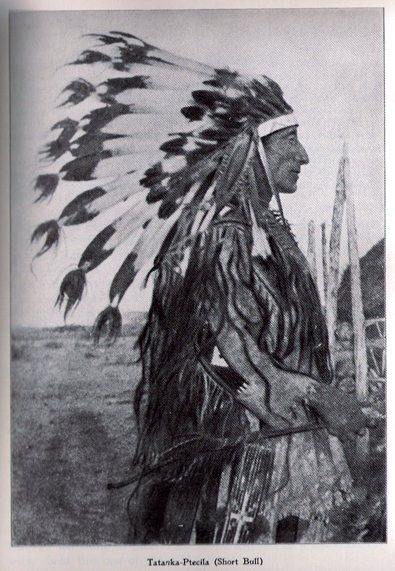 Picture 2 shows Chief Black Elk from the Sioux Oglala Tribe, who describes the ancient rites in "The Sacred Pipe". The process can be preceded by rituals like a sweat lodge (temazcal) as seen in picture 4. Nowadays various versions of vision quests are offered in many places around the world. Mikistly Ocelot from an Aztec lineage of Shamans has been supervising vision quests in the traditional style in various countries (he can be contacted through the author). A Costa Rican group is organising annual vision quests in the forests of Guanacaste in the area of San Juanillo. 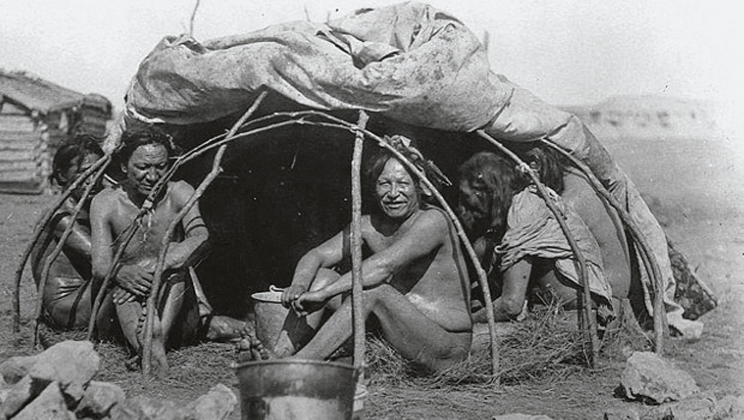 It takes about four days of preparation to built the sweat lodge and the camp. Then the visionaries take a vow of silence and are given their isolated spots for the quest, while the supervisors and caretakers are staying in the camp. The author so far took part in three vision quests in Guanacaste. It certainly is scary and a great challenge to be almost naked and without food and drinking out in the wilderness, but it is very rewarding, too. The visionary's area is protected by a string with small pouches of tobacco. The tobacco with its bitter taste keeps most unwanted intruders out. All technical devices have to be left behind during the hanbleceya, only a blanket and one piece of clothing is permitted. For four days you are alone with the animals and plants, the sky and the earth. The senses adjust quickly to the new environment and you may see and enjoy the closeness to many of the local animals. Here is a selection of animals, which Mahendra met during his periods in solitude. 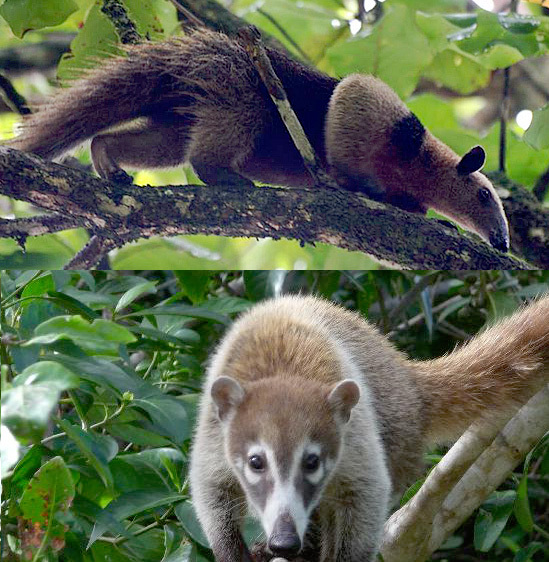 The pictures were taken by the author before or after the retreat, only tamandua and coati pictures are retrieved from the internet. Groups of howler monkeys (pic 1) are roaming through the trees and start their howling sometimes in the middle of the night. Black vultures (pic 2) are screening the territory from above and come down once in a while. A female golden orb-web spider (pic 3) might be spinning her web above your head. Termites built their nests in trees (pic 4). Tamanduas (pic 5 top) come by, feasting on the little insects. Gangs of coati (pic 5 bottom) are hunting for food on the ground, sometimes even when it's dark. After four days in the tropical forest without any contact with other humans the visionaries return to the camp, gather for another sweat lodge (temazcal) and receive the first food and drink in a ritual. Vipassana is an ancient meditation technique, probably originating from the Buddhist tradition - meaning insight into the true nature of reality in Pali, the language of Buddha. It is very simple, just sit straight with eyes closed and observe the inflow and outflow of your breath. Never mind the mind being side tracked by all kind of thoughts and sensations, just let your awareness return to the flow of the breath, whenever you notice a gap in the chain of thoughts. Initially you can count your in breath up to ten or twenty and then start afresh. Guru Puja - a celebration and worship of the guru, the deities and the Self, which can be done any time at an altar like this one in Munich (chota mandir). or just talk to yourself. Don't use words that make sense. and support your speech with your body language. Or for as long as you like. Not many people know that you can float in sweet water without sinking just by using a bit of breath control. Spread out in the water with your belly up. Arms stretched out wide to the sides or over the head. Breath in as deep as you can and hold your breath as long as you can. And again breath in as deep and long as you can. Whenever there is lots of air in the body, your body's density is less than the water's density and you don't sink. you stay floating and no movement is necessary. Once you get the feeling, you can float almost motionless for a long time. Chakra means originally wheel in Sanskrit. In the ayurvedic healing system a chakra is an energy center and the seven chakras along the spine are the main energy centers in our body. 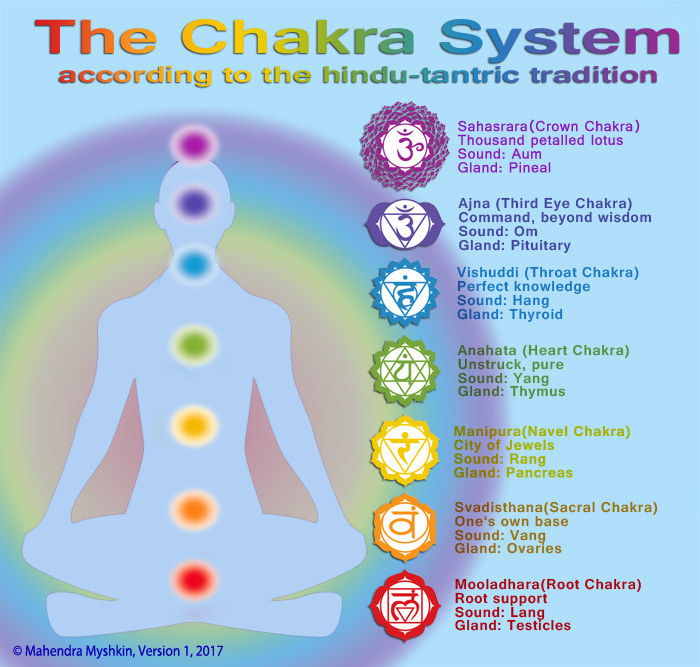 In a healthy body the energy is flowing freely through the nadis (Sanskrit for meridians) and the chakras. The chakras are vibrant. Through stress the flow might get interrupted and the chakras can shrink and become less permeable. This meditation is to reactivate and stimulate the chakras through sound, breath and imagination. We sit down comfortably, close our eyes and start with the lowest chakra, the Mooladhara. For a couple of minutes we repeat the corresponding sound of the chakra firmly and feel into the corresponding area of the body. After a short silence we switch to the second chakra and so on until we reach the seventh. If you like, you can repeat the whole procedure again going from bottom to top.